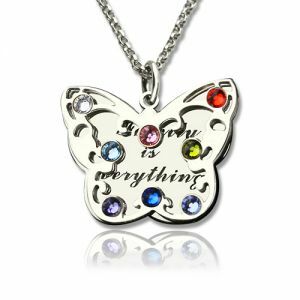 Personalized Mothers Birthstone Butterfly Necklace Sterling Silver - She's always been there for you with a story at bedtime and a kiss to make it better when you scraped your knee. 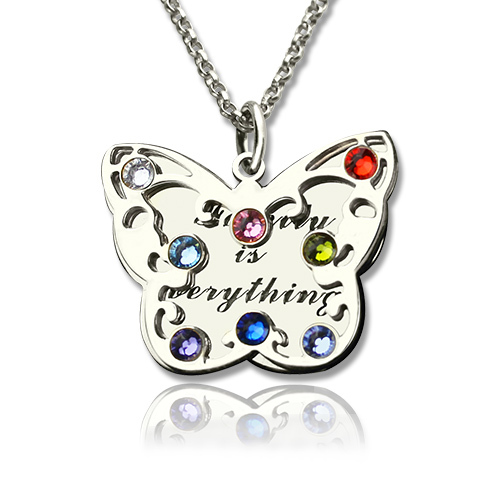 Celebrate your love for Mom with this gorgeous sterling silver family birthstone necklace. 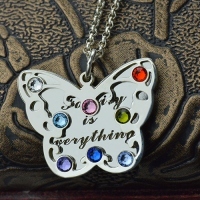 Shaped like a butterfly,the symbol of change,this makes an especially memorable gift for a new mom or grandma. 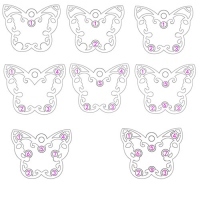 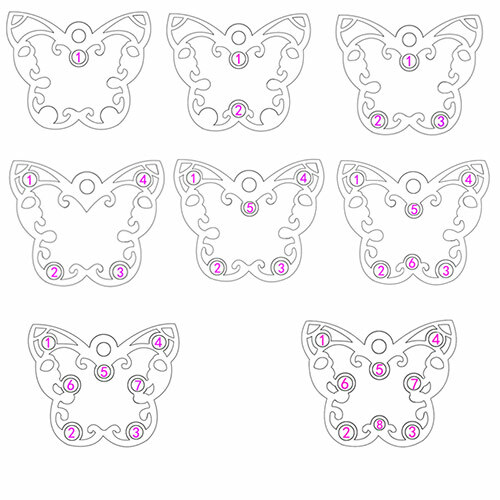 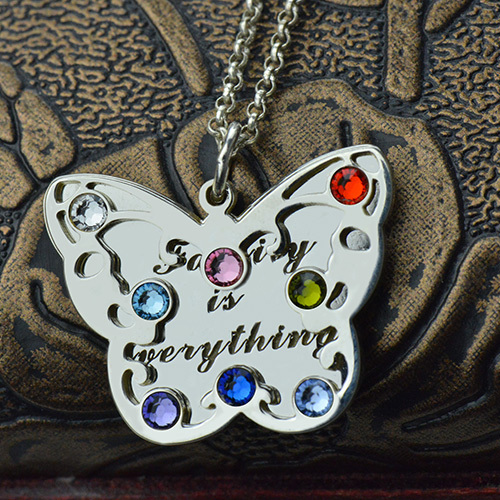 You can nestle up to eight crystal birthstones inside the intricate filigree work of the butterfly's wings, and add a message to the special engravable plaque that gently swings against it to make this gift something destined to become the necklace she'll never want to take off.